Meanwhile, Memphis Depay was unveiled at Old Trafford this afternoon. 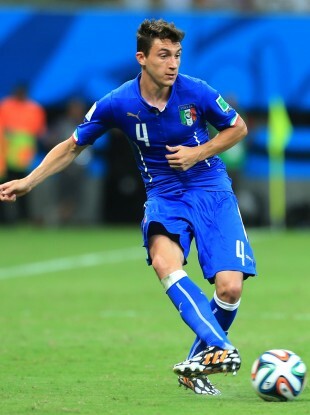 MANCHESTER UNITED MANAGER Louis van Gaal has confirmed that Matteo Darmian is having a medical with the club. The full-back has been linked with a switch to the Premier League in recent days after impressing in Serie A, as well as for Italy. Another player heavily linked with a move away from Old Trafford is David de Gea, who is expected to join Real Madrid once Iker Casillas finalises his impending move to Porto. However, Van Gaal says he has been delighted with the Spaniard’s attitude, adding: “He’s a very professional player and he has shown a fantastic attitude until now. United have so far signed Memphis Depay from PSV and moved on the likes of Nani, Tom Cleverley and Angelo Henriquez and Van Gaal feels there is plenty more business to be done before the deadline. Asked whether the club were on track this window, he told reporters: “You cannot answer that because buying and selling is a process and we are not at the end of the process. Depay, meanwhile, said he wants to let his actions do the talking after securing a dream move to Old Trafford. “I am excited to do my job for Manchester United, I have to score goals, I am a striker,” he said. “I’m the new kid so have to find my way, but the team have the quality to win the title and all the trophies it’s possible to win. “I don’t want to talk too much, I want to show it on the pitch. I am still young in the game so I want to let my feet speak, I don’t want to compare myself with someone like that [former United star Cristiano Ronaldo]. Man United begin their Premier League season against Tottenham on 8 August. Poll: Would you be happy to see Martin O’Neill leave the Ireland job? Email “Matteo Darmian has arrived in Manchester ahead of Old Trafford medical ”. Feedback on “Matteo Darmian has arrived in Manchester ahead of Old Trafford medical ”.